As many of you may know, I have strong connections with Canada. My good friend, Dr. Skye Morrison, is something of a fibre guru. She splits her time between Hastings, a small town in rural Ontario and teaching and working with fibre artists in India. 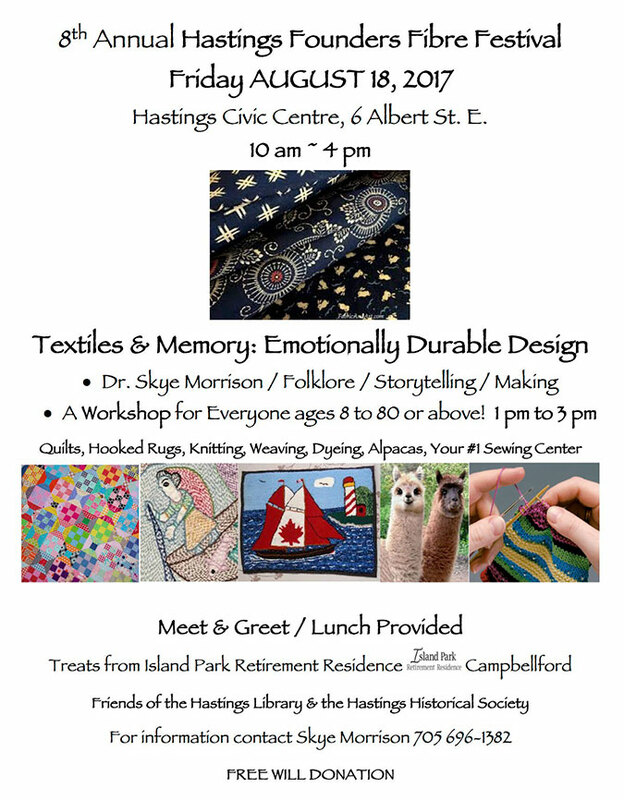 This week, she is back in Ontario and running the 8th Annual Hastings Fibre Festival. If any of you are in the area, you might want to check it out.